Hello all, I trust that you have had a great week! Sunday was the 1 year anniversary of losing my mom. The day definitely had a pall of melancholy over it but it wasn't as bad as I anticipated. I had planned to make a pie as Pumpkin from PumpkinSpins suggested but I took a nap after church instead. 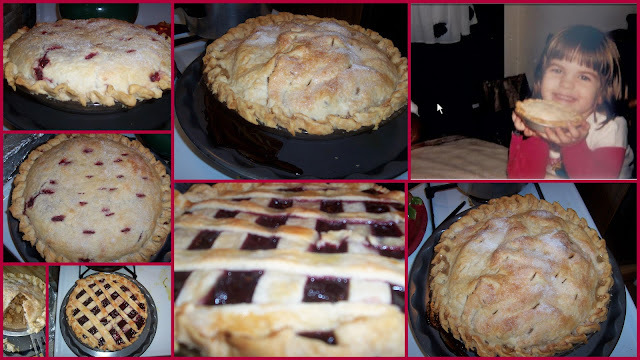 As I have mentioned in past posts, the act of making those pies just relaxes me and reminds me of all of the amazing women in my family that I have lost, plus they are pretty tasty. So when Pumpkin made the suggestion earlier in the month I knew it was the right way to remember my mom, alas time got away from me. So this coming weekend, aside from Light Up Night and volunteering at Pittsburgh Indie Knit and Spin, the holiday baking will get started. My friends are having a Friendsgiving to celebrate the Thanksgiving holiday with their friends. I am really excited because I can't remember the last time I was at a big gathering for the holidays. Anyway, I want to take a dessert so I will probably make cranberry squares (family recipe I will share next week) I need to make something else as well. If you have any suggestions, please let me know :). Alrighty, now to my yarn progress. Again I am entranced by the colors floating through the Hue Shift Afghan and that is what got worked on the most. I am in love with the pink pop of color with the red! So I am behind as today is the 14th and I only have 8 blocks done but whatever, knitting is supposed to be fun not a chore right. I think after I finish this row I am going to block it with Toothpicks for a challenge in Nerd Wars. 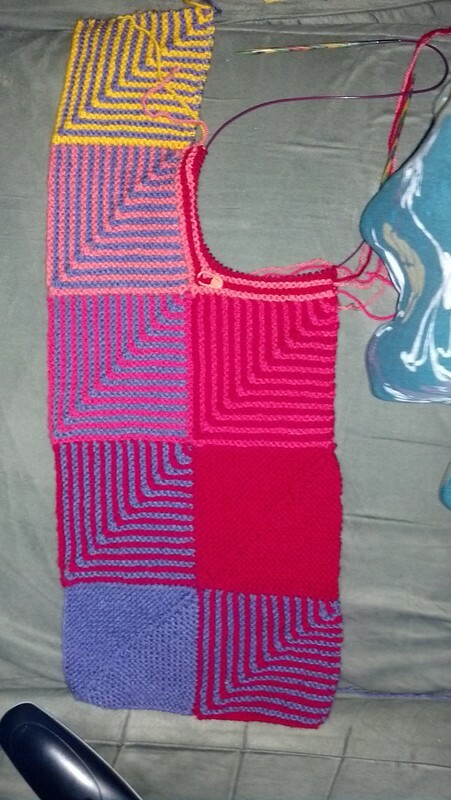 Then the pressure is off to get all 25 squares done and I can get some other things done as well. Overall, I love this project. I love watching the colors blend and meld into a great pattern and can't wait to finish this block. I did get a couple rows done on the Orange Justice League Filler Squares but it's nothing to really photograph. I am also working on a gift for my Secret Santa swap partner from Nerd Wars. I hope she likes it! At lunch I am going to get some more supplies and try and find awesome other things to stuff the box with. So that's my progress this week, how about you? Oh thanks! I am super pleased with it. I am a purist when it comes to Thanksgiving and always make pumpkin pie. They already have that covered for the Friendsgiving but I hate the pumpkin custard of pumpkin pie so I usually make an Apple for me. Thanks for the afghan love! I am super pumped about it. Thanks! I am so happy with it so far. We all have those days where a nap is exactly what you need. I'm really glad that you were able to get through the day. I love that you get to go to an awesome party! Cranberry squares are perfect, I would also recommend a veggie based dish. Our family favorite is whiskey carrots. I'm loving the blanket! Ohh that sounds yummy. I will have to find a recipe.